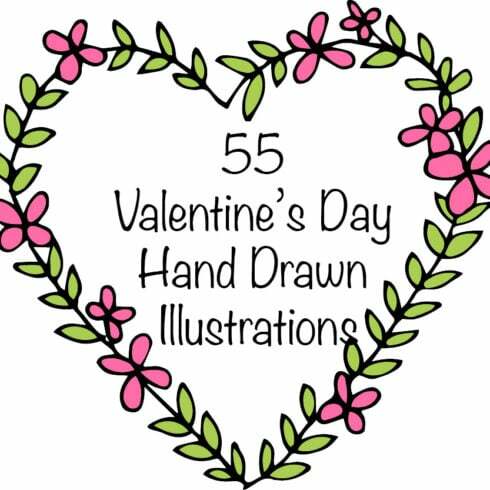 Download a romantic pack of Valentine’s Day illustrations heart clipart and get ready for the ever wonderful holiday in a year. Hearts, doves, wreaths, florals, texts, nice graphics, and decorative elements – here you’ll find whatever you need to dress your project and add it a special mood. These illustrations are carefully crafted to your needs in mind and are perfect for web and printing. They are good for various types of cards, posters, labels, banners, flyers, logos, etc. You can use its elements in different projects that need a visually attractive look and romantic mood. The archive contains vector images in EPS, PNG, and AI formats. As all vectors, they are easily resized without any loss of their quality. 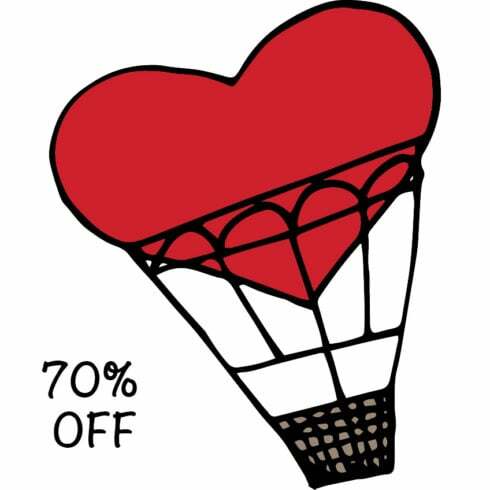 Today they go with a 70% discount. 55 hand-drawn illustrations are waiting for you to choose them. Just for $7. Try any of them to decorate your works and stand out from the crowd. This is a huge collection of premium hand drawn clipart illustrations. This set includes vector files in EPS, PNG and AI formats so you can resize, modify, change colors, or anything you like easily and without any loss in quality! You can use these for web design, invitations, posters, flyers, cards, wedding decor & stationary, parties, products, photo overlays, logos, and anything else you can think of!